Sam Mendes’ directorial debut American Beauty was nominated for eight Oscars in 2000 and won five of them (Best Picture, Best Director, Best Actor, Best Original Screenplay, and Best Cinematography). It was a shockingly brilliant showing for a first-time director. 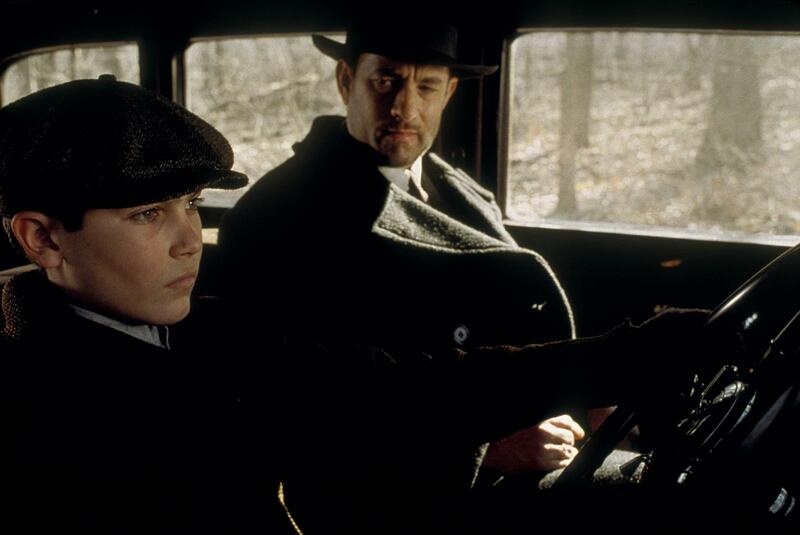 When Mendes followed it up with the graphic novel adaptation Road to Perdition, starring Tom Hanks and Paul Newman and with most of the same creative team reassembled, hopes were high. However, though Perdition received generally positive reviews (81% on Rotten Tomatoes), it did not reach the same level of success that American Beauty did, nor achieve a similar level of critical acclaim. Ultimately, it was nominated for six Academy Awards, but it was not nominated for Best Picture, Best Director, Best Actor, or Best Adapted Screenplay. (It had two noms for sound, one for art direction, and one for the score.) It did win one Oscar for Best Cinematography (well deserved) which went–posthumously–to Conrad Hall, who had also lensed American Beauty. 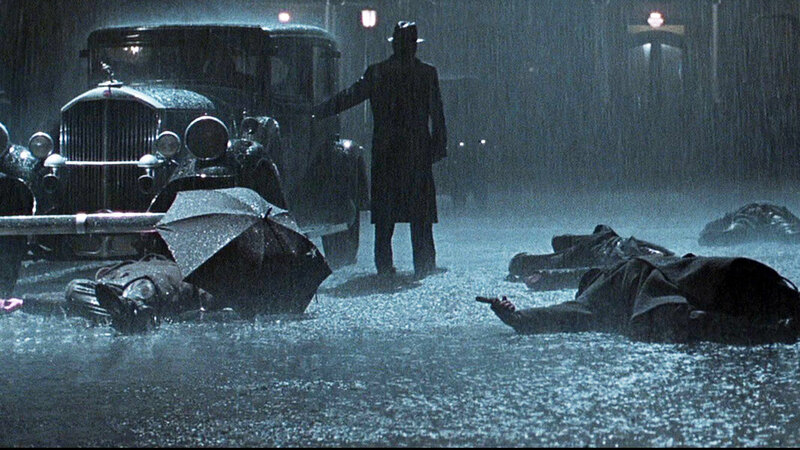 Though the lasting legacy of American Beauty can be debated (many have since decided that it was egregiously overrated), Road to Perdition has only become greater with the passing of time, to the point that it should be considered a masterpiece. Below are five reasons that Perdition is an overlooked masterpiece of film. To assert this may seem obvious, with the powerhouse cast of Tom Hanks, Jude Law, Paul Newman (Oscar-nominated), and Daniel Craig. However, Hanks has taken some hits on this particular performance, as it was somewhat outside of his wheelhouse. Mendes knew, though, that the audience must be able to see the good in Hanks’ character Michael Sullivan throughout the movie. As a mob enforcer and sometime hitman, Sullivan does some pretty terrible things in the name of justice and revenge. But the script and, really, the entire movie rely on the audience never hating Sullivan and understanding that his motivation comes from love and loyalty. Tom Hanks exudes compassion and resists the urge to overplay. For that matter, the entire cast grounds their acting in subtle reality. Paul Newman was one of the acting greats of all-time and his charm as John Rooney belies a hardened cynicism. Jude Law takes what could have been a caricature and turns it into something wholly interesting. Daniel Craig, as the hotheaded Connor Rooney, both earns the audience’s intense hate and helps them to sympathize with him. Even Tyler Hoechlin (who has gone on to star in TV’s Supergirl and Richard Linklater’s Everybody Wants Some!! as an adult) uses his expressive young face to great effect. When Michael Sullivan returns home to find his family dead, he first enters the house and see his son (Hoechlin) sitting at the table in total silence. Both actors say everything with their body language and their eyes. It’s a heartbreaking scene that highlights the level of commitment each actor brought to his role. The film does not shy away from the themes of revenge. This is not an obvious lesson showing that seeking revenge stokes hostility, but a much more sophisticated idea about the self-respect involved in avenging wrongs. Likewise, its take on loyalty, though familiar in some ways, adds intricacy by dealing with competing concepts of loyalty. When Michael Sullivan’s family is killed, the code that he has lived his entire life by demands that he seek retribution. As he obsessively works to kill Connor Rooney (who killed his family), he is blatantly fighting against his lifelong father figure, John Rooney. The movie aches with sadness and duty, especially as it relates to fathers and sons. Late in the film, Sullivan reveals to John Rooney that Connor-John’s son–has been stealing money. Sullivan thinks it will be new information for John that will allow Sullivan access to Connor in order to kill him. However, he realizes that John has already known about the theft but has protected his son out a sense of patriarchal duty. Though Sullivan has been more of a son to him that Connor, John cannot dismiss his own flesh and blood. It’s a chillingly accurate depiction of the world that they live in. The brilliant trick of the film, though, is that even though the majority of the audience cannot relate to the fully-realized mob world presented, they can relate–intimately–to the ruminations on family and revenge and loyalty. Tom Hanks’ career was built on playing decent, compassionate Everymen. As a hitman, basically, in Perdition, the audience’s sense of the actor is immediately thrown off. It gets even worse later in the film when Hanks’ character first kills someone for no reason other than to send a message. Michael Sullivan is definitely not a traditional “antihero,” though. He is much more complicated that that. He is a dedicated family man who has done what needed to be done to provide for them. Even his ties to John Rooney and the work he does for him are borne of loving bonds. The man inspires fear in all of those he visits but it is coupled with massive respect. As he goes on his journey to revenge in the second half of the film, he takes special pains to always leave his remaining son out of everything he feels he must. He cannot bear to think that his son might go down a similar path to him. And yet, in a climactic scene he shoots at least six people, including his surrogate father, killing them all with a machine gun. This same man who loved his family so gently and shielded his son from the terrible world that Sullivan had been forged in, followed the rules of that world until the very end. Though he accepted John Rooney’s statement, “There is only one guarantee: none of us will see Heaven,” he also made sure that it did not apply to his son. As with many effective films about complex heroes, Road to Perdition does not end happily–at least not in traditional ways. However, it ends in the perfect way to invite contemplation in the viewer. 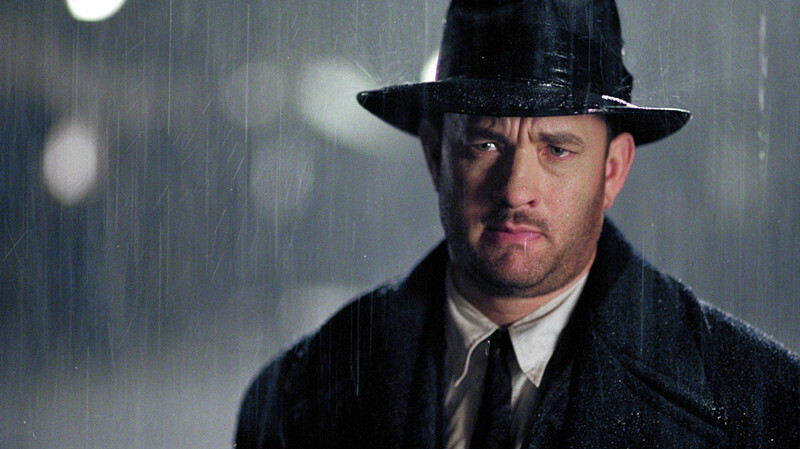 Hanks’ character dies (for his sins, in many ways) but prevents his son from starting down a similar life path. Sam Mendes stages the shooting of Sullivan in a jarring fashion: the score suggests tranquility as he stares out a big window onto the beach as his son is blissfully walks along the sand and then he is unceremoniously gunned down by Jude Law’s bitter Maguire, who had arrived at the house ahead of them. Some have suggested the movie is too sentimental, but moments like these temper any of its treacly leanings. That violently sad image, though, yields the film’s most powerful moment. Sullivan’s son enters the room with the intention of killing Maguire. It mirrors his dad’s own quest to avenge the rest of the family’s death. He trains his gun on the assassin, who walks toward him, talking him out of pulling the trigger. Suddenly, though, we hear a gunshot and Maguire falls to the floor, dead. Michael Sullivan, almost dead, summoned enough energy to kill Maguire so that his son did not have to. But that’s not the point either. The point is that the son was unable. Sullivan has achieved his life goal: he kept his son from becoming what he was. It’s a poignant moment laced with deep melancholy. The movie has earned the sense of transcendence the audience feels in the final frames but only by being true to the world that Michael Sullivan lived in. There is so much to single out here, as this is really where the film crosses from well-made into masterpiece territory. From Thomas Newman’s poignant, passionate score to Conrad Hall’s beautiful, breathtaking cinematography to Dennis Gassner’s dark, dauntless production design, each and every aspect of the film is calibrated perfectly. The Oscar-winning cinematography expertly plays with light and shadow, most notably in a scene where Connor calls his dad and his dad sits stoically in the dark, deliberately not answering the phone. The production design sets the tone with pinpoint accuracy. Each scene is designed so vividly and in concert with the cinematography as to suggest the chiaroscuro style of painting. The scene where Sullivan shoots Rooney is as gorgeous and devastating as anything on film. Mendes and Hall compose the scene with perfect symmetry so that, when the men fall around Rooney, it is eerily affecting. Then, Sullivan emerges from the shadow like a wraith, materializing almost out of thin air. 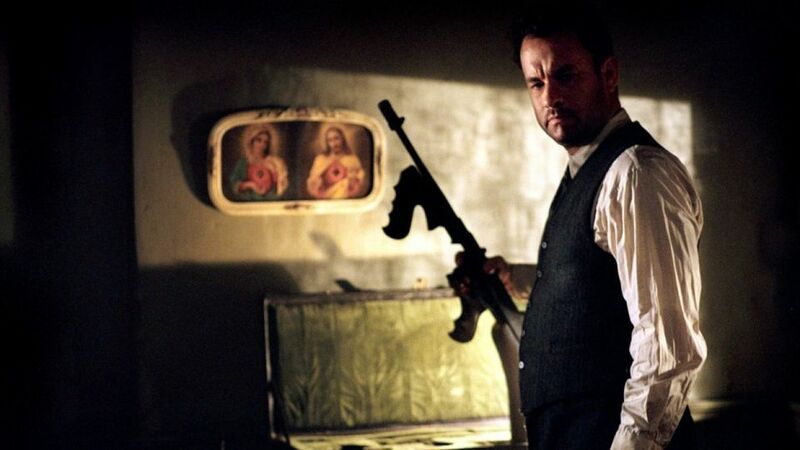 As he walks purposefully toward the mobster, Rooney is framed between Sullivan’s coat and the gun hanging at his side. All through this, rain pours down in artful sheets, adding a symbolic sadness, yes, but moreso completing the visual aesthetic. Oscar-nominated composer Thomas Newman also does wonderful work. The score is more concerned with mood than with punching up emotions in obvious ways. When Sullivan escapes Maguire by leaving through the bathroom, the scene is scored with a light touch, avoiding the cliche of forcing the excitement. Instead, there is an elegance to the score throughout, especially in the final scene where Sullivan is dying and saves his son from death and from a damaged path. The music refrains from coaxing tears from the viewers’ eyes. Rather, Newman seems to have conjured a feeling from the melody that simultaneously summarizes the entire movie and captures the spirit of Sullivan’s son moving forward with his life. As a final example, one of the most brilliant shots of the movie comes when Sullivan is finally granted access to Connor to carry out his sought-after revenge. He is let into Connor’s hotel room, where Connor is lounging in the bathtub. The bathroom is perfectly white. Sullivan enters the bathroom in his dark clothes and faces Connor, gun raised. As an audience, we cannot see Connor at this point but simply see Sullivan pull the trigger. As Sullivan leaves, the door to the bathroom, with a mirror on it, swings slightly closed. As it comes to a rest, we see Connor, shot dead with a violent splash of red behind him on the bathroom wall. It is both gorgeous and graphic at once. That attention to detail and control of craft is present in every frame of the film. The word “masterpiece” should not be thrown around lightly. Sam Mendes (who has since made movies like Away We Go and Skyfall) started at the very top as a director, winning a Best Director Oscar for his feature-film debut. Like many directors before him, his initial success brought him the opportunity to have a bigger budget in his second feature to match his ambition. The result of that ambition is the grave and moving Road to Perdition. It delves into themes that are not easy to think about or process. It’s a film that lives inside the viewers long after it finishes, as it has illuminated essential truths and difficult-to-understand beauty. 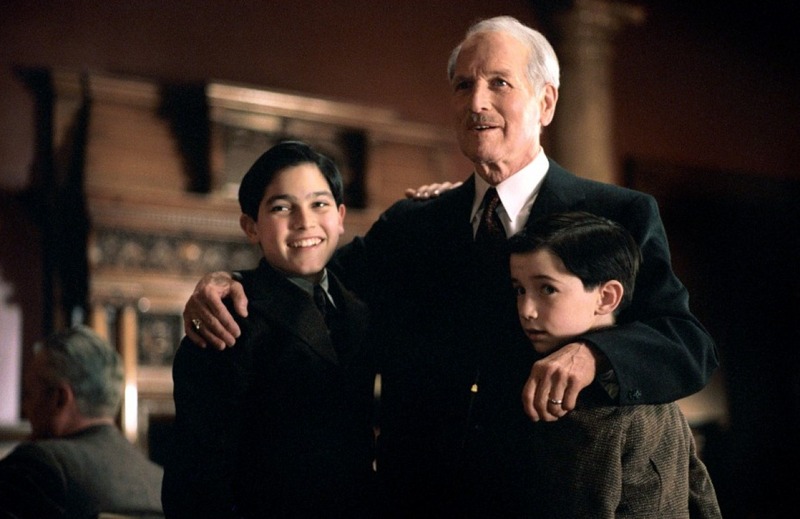 At the conclusion of the film, Michael Sullivan’s son narrates that people would ask him later in life is there was there any good in his father. 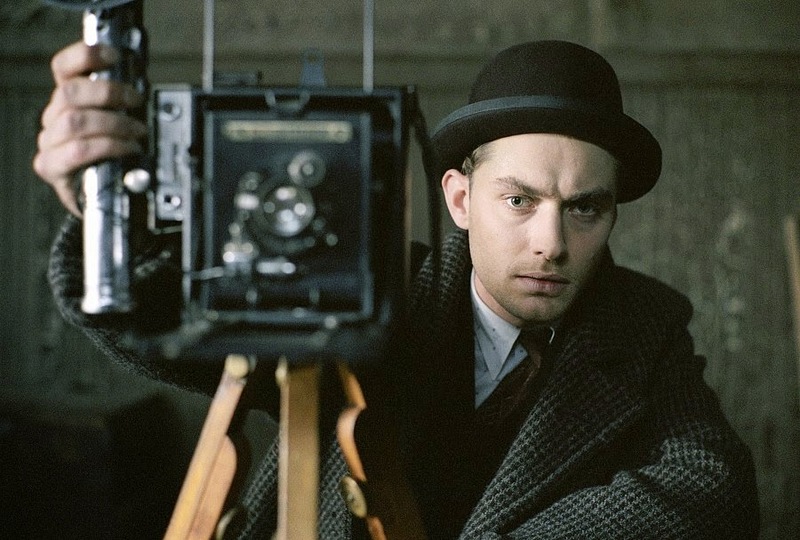 His answer: “I just tell them, ‘He was my father.’” For all its fierce moral complexity, Road to Perdition elucidates simple emotions that its audience understands well. Author Bio: Chad Durham is co-editor and contributing writer for RogueAuteurs.com. He also participates bi-monthly in the Rogue Auteurs podcast. His day job is high school English teacher. He has been in love with movies since seeing The Sting when he was 12. The thrill and emotion of seeing a great movie for the first time will always be one of his favorite feelings.